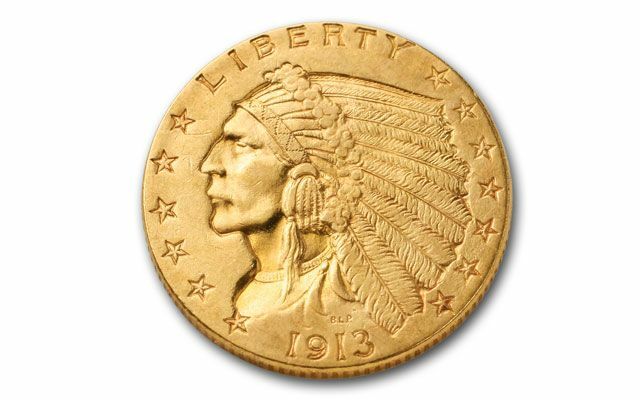 Because they featured incuse designs struck into the metal instead of raised above the surface, the $2.50 and $5 Gold Indian coins were two of the most intriguing U.S. coins ever issued. Struck from 1908 to 1929, the dates vary. 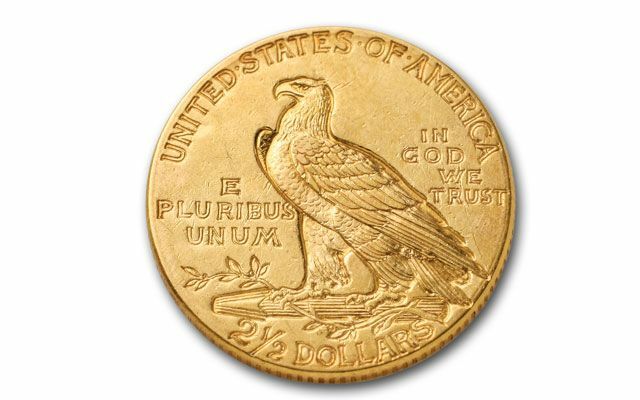 The coin features a proud Native American and stoic American Bald Eagle. 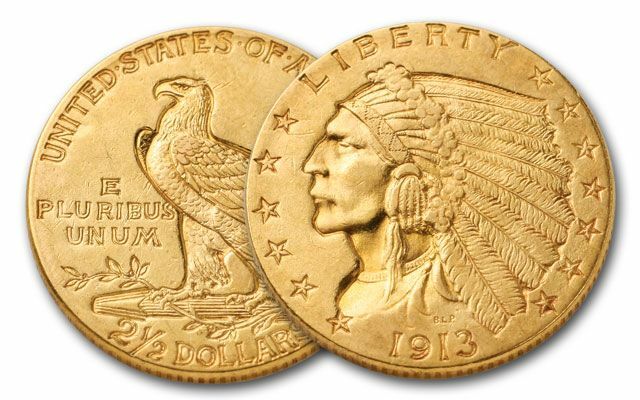 Though tough to find today, we have amassed our own spectacular hoard of fabulous $2.50 Gold Indians. Each is in About Uncirculated (AU) condition.